EZ-BEAM Q25 Series: Emitter. Range: 20 m; Input: 20-250V ac. Output: Not applicable – No outputs. 2 m (6.5 ft) cable. Range: 20 m; Input: 20-250V ac. EZ-BEAM Q25 Series: Emitter. Range: 20 m; Input: 20-250V ac. Output: Not applicable – No outputs. Quick-Disconnect Connector. EZ-BEAM Q25 Emitter AC. Range: 20 m; Input: 20-250V ac. Output: Not Applicable. Quick-Disconnect Connector. 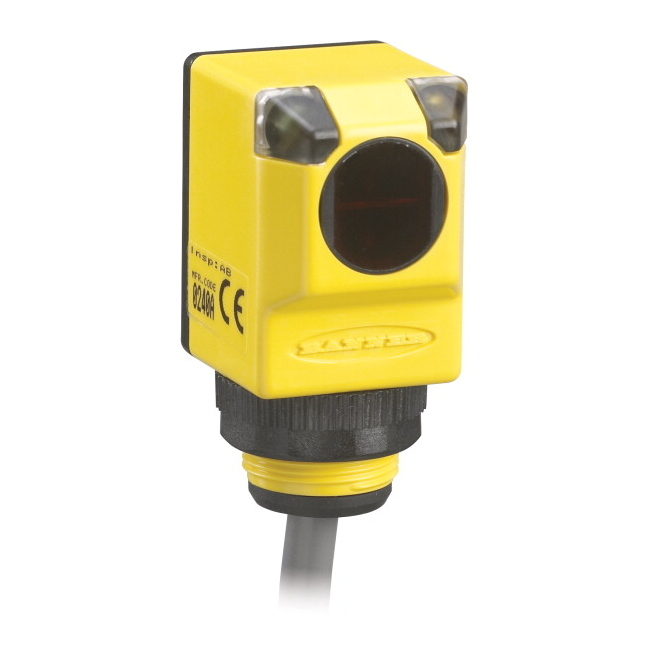 EZ-BEAM Q25 Series: Fixed Field. Range: 100 mm; Input: 20-250V ac. Output: SPST Solid-state Light Operate. 2 m (6.5 ft) cable. Range: 100 mm; Input: 20-250V ac. EZ-BEAM Q25 Series: Fixed Field. Range: 100 mm; Input: 20-250V ac. Output: SPST Solid-state Light Operate. Quick-Disconnect Connector. EZ-BEAM Q25 Series: Right-Angle Fixed-Field. Range: 0-100 mm Cutoff; Input: 20-250V ac. Output: Light Operate. QD uses Turck cordset: WAKW4.5T-2. EZ-BEAM Q25 Series: Fixed Field. Range: 25 mm; Input: 20-250V ac. Light Operate. 2 m (6.5 ft) Cable. Range: 25 mm; Input: 20-250V ac.